As a result of these measures farmers enjoyed rising prices and profits during the final stages of the war. This led to increased output and farmers borrowed heavily to expand their acreage. 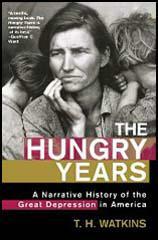 For example, gross farm income in 1919 amounted to $17.7 billion. However, after the war European agriculture recovered and American farmers found it more difficult to find export markets for their goods. 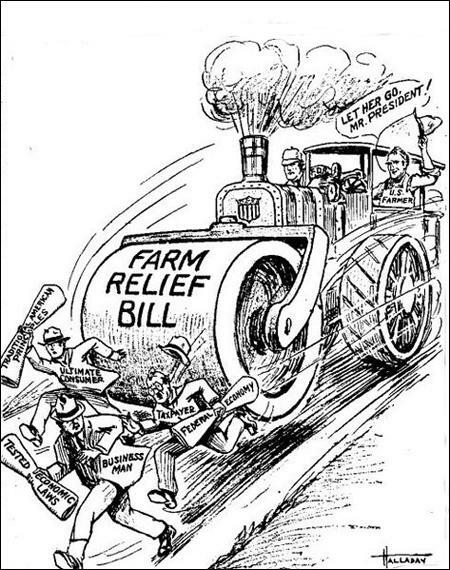 As a result prices began to fall and by 1921 total farm incomes amounted to only $10.5 billion. Beginning in the Carolinas and extending clear into New Mexico are fields of unpicked cotton that tell a mute story of more cotton than could be sold for enough, even to pay the cost of picking. Vineyards with grapes still unpicked, orchards of olive trees hanging full of rotting fruits and oranges being sold at less than the cost of production. Grain was being burned. It was cheaper than coal. In South Dakota, the county elevator listed corn as minus three cents a bushel. If you wanted to sell them a bushel of corn, you had to bring in three cents. We had lots of trouble on the highway, people were determined to withhold produce from the market - livestock, cream, butter, eggs, what not. If they would dump the produce, they would force the market to a higher level. The farmers would man the highways and cream cans were emptied in ditches and eggs dumped out. They burned the Trestie Bridge, so the trains wouldn't be able to haul grain. 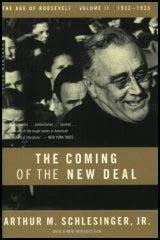 The New Deal was an uneasy coalition. Fights developed very early between two factions: one, representing the big farmers, and the other, the little farmers. 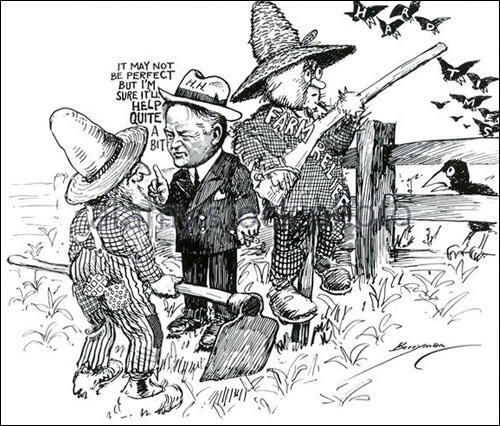 The Agricultural Adjustment Administration (AAA) came into being shortly after I got to Washington. Its purpose was to increase farm prices, which were pitifully low. All the farmers were in trouble, even the big ones. Hog prices had just gone to hell. They were four, five cents a pound? The farmers were starving to death. It was decided to slaughter piggy sows (a pregnant pig). The AAA decided to pay the farmers to kill them and the little pigs. Lot of them went into fertilizer. 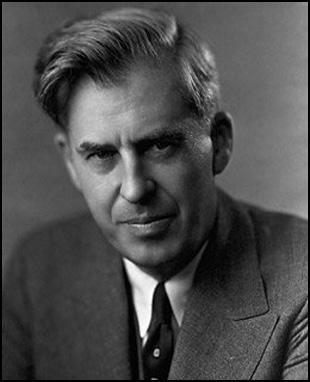 Then a great cry went up from the press, particularly the Chicago Tribune, about Henry Wallace slaughtering these little pigs. You'd think they were precious babies. You had a similar situation on cotton. Prices were down to four cents a pound and the cost of producing was probably ten. So a program was initiated to plow up cotton. A third of the crop, if I remember. Cotton prices went up to ten cents, maybe eleven. I rejected the schemes of economic planning to regiment and coerce the farmer. That was born of a Roman despot 1400 years ago and grew into the AAA. I refused national plans to put government into business in competition with its citizens. That was born of Karl Marx. I vetoed the idea of recovery through stupendous spending to prime the pump. That was born of a British Professor (John Maynard Keynes).